Regal and powerful, the Dragon King of the Eastern Sea commands storms and tides with the flick of a claw, and now Ao Kuang is the 60th god on the SMITE roster. 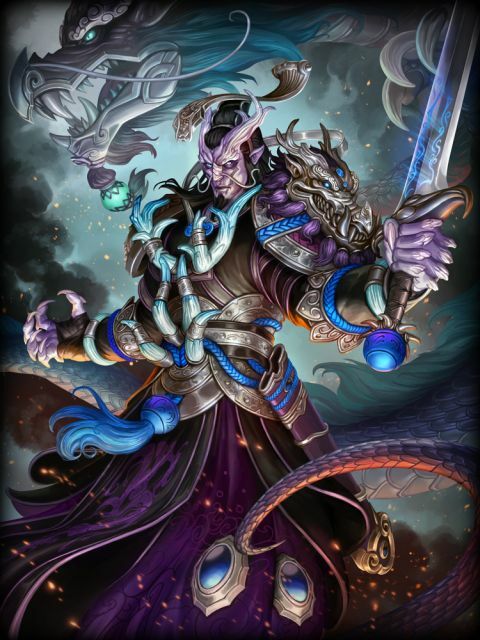 With a command over dragons and water, Ao Kuang’s abilities primarily use both to his advantage. His Dragon’s Call ability summons six dragons to his side, where for every successful basic attack Ao Kuang makes, a dragon will dive to the target dealing scaleable damage. With his King of the Eastern Seas ability, Ao Kuang selects a single target in melee range and grabs them, dealing damage and knocking them up into the air. If the target is under the health threshold, Ao Kuang will instead reveal his true form, becoming a Dragon and executing them. After transforming Ao Kuang remains in the air, and may then pick a new location to land, dealing damage to enemies within range 20, and fully recharging his passive ability, King’s Sword.